The apartment was really clean and very nice. Had everything we needed. Fantastic location acrythe street from the hospital. Excellent choice for family stay in the area. FAR better value than staying in a hotel. Very clean & comfortable. Liked the proximity to family who live in the area. Very conveniently located near to Frimley hospital. Helpful staff. Nice, clean and convenient for 2 sharers and 4 twin beds were just what we were looking for. The flat was very clean and warm:) Spacious and cute! The property was in a great location for us as we wanted to visit Lego Land,Thorpe Park and Chessington. It was a good size for our party of six. Lovely and clean, comfy beds and nice clean bedding. Soft white towels. The service from Matt was excellent but there was some confusion when someone else handled the enquiries.more details could have been provided on confirmation regarding address, getting keys, parking, etc. The style and comfort of the property was fantastic. The beds were comfy and it was so clean and beautifully laid out. I look forward to staying here again. Lock in a great price for Flexi-Lets@Old Rectory Court, Frimley – rated 8.4 by recent guests! Flexi-Lets@Old Rectory Court, Frimley This rating is a reflection of how the property compares to the industry standard when it comes to price, facilities and services available. It's based on a self-evaluation by the property. Use this rating to help choose your stay! 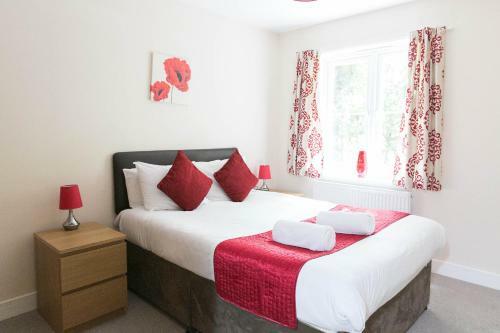 Located just off the M3 in Frimley, a 5-minute drive from Farnborough, these elegant apartments boast free Wi-Fi throughout and free parking on site. 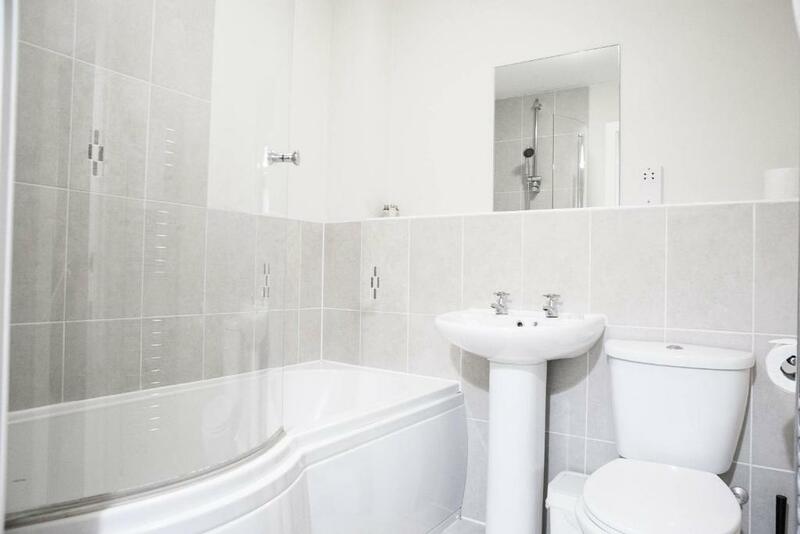 With sleek interiors and simple, stylish décor, Flexi-Lets@Old Rectory Court all boast a modern, fully equipped kitchen with built-in washer/dryers, ovens and hobs. Living rooms have comfortable leather sofas and a flat-screen TV, and each room is simply furnished. Each apartment also benefits from picturesque garden views. Frimley is a pretty village with a range of shops, banks, bars and restaurants. Farnborough Gate Retail Park is just a short drive away. 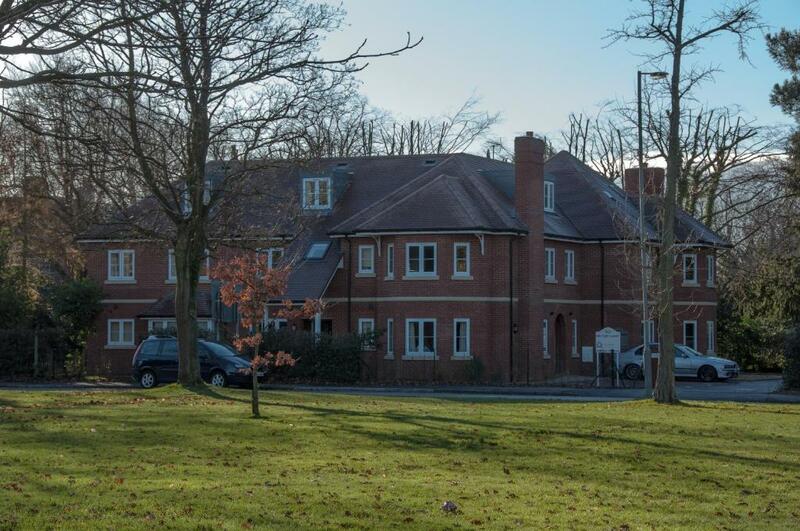 This property also has one of the top-rated locations in Frimley! Guests are happier about it compared to other properties in the area. This property is also rated for the best value in Frimley! Guests are getting more for their money when compared to other properties in this city. When would you like to stay at Flexi-Lets@Old Rectory Court, Frimley? Features include free Wi-Fi, one secure parking space, and weekly housekeeping. 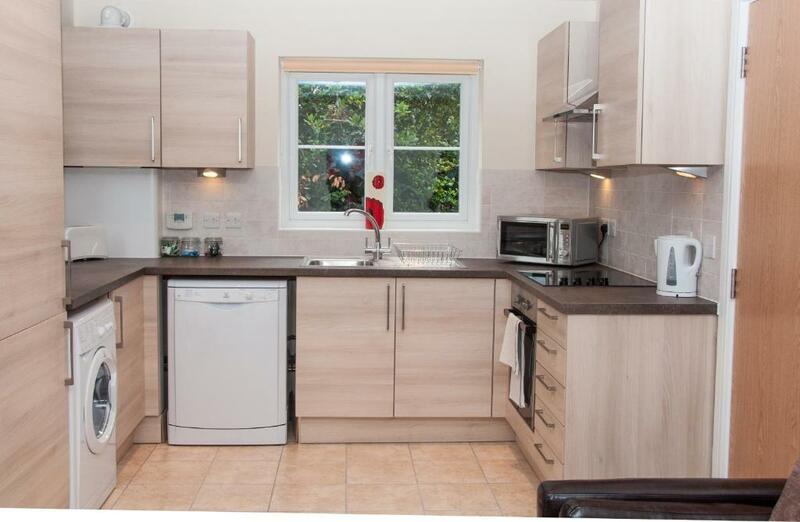 There is a fully equipped kitchen with a fridge/freezer, washer/dryer, and a flat-screen TV with a DVD player. Private parking is available on site (reservation is needed) and costs GBP 6 per day. House Rules Flexi-Lets@Old Rectory Court, Frimley takes special requests – add in the next step! A GBP350 damage deposit is required on arrival (around USD455.33). This deposit will be fully refunded 7 days after check-out, as long as there isn't any damage to the property. Flexi-Lets@Old Rectory Court, Frimley accepts these cards and reserves the right to temporarily hold an amount prior to arrival. Please note that the lead guest must be 23 years of age or older. Please contact Flexi-Lets@Old Rectory Court, Frimley at least one-hour prior to arrival to confirm the check-in, as there is no reception. Please inform Flexi-Lets@Old Rectory Court, Frimley of your expected arrival time in advance. You can use the Special Requests box when booking, or contact the property directly using the contact details in your confirmation. A damage deposit of GBP 350 is required on arrival. That's about 455.33USD. This will be collected by credit card. You should be reimbursed within 7 days of check-out. Your deposit will be refunded in full by bank transfer, subject to an inspection of the property. The shower pressure wasn’t great and in general the fittings and fixtures were of quite cheap quality for the price of the place. The mattress of the bed was not comfortable. Probably has ben used a lot. One bedroom very small. Could have had more hangers in wardrobes. Some of the walls could do with repainting as they were marked and ceiling tape was coming off in the double room on the middle floor. I feel that the property was expensive for the length of our stay. As Merlin Annual pass holders we visit this area frequently and if property was cheaper may have rebooked it for future visits. I think top dollar pricing for a slightly sub standard property. Great beds, super clean and lovely shower! The house was a little stark..could do with some redecoration to freshen up and some updating. Upstairs water pressure was very poor- shower pump would be good. Needed better lighting and more mirrors for getting ready! Handover could have been more organised and clear, however it all worked out considering we had arrived quite late. I was surprised that the place was still being cleaned on arrival though.